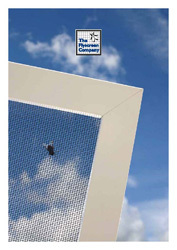 Made to Measure Magnetic Insect Screen for Windows. Made to Measure Window Screen. Made to Measure with PVC Track System. Domestic Made to Measure Door Screen with single Midbar and kick plate. Made to Measure Door Screen. This is a sophisticated bespoke product particularly suitable for large doorways and modern architecture. Please contact us via email or phone to discuss your requirements in more detail.